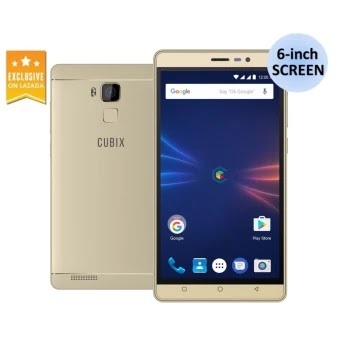 Cherry Mobile Cubix Cube Max is now in Lazada at Php 3999. Cherry Mobile out Cubix Cube Max alongside two other smartphone under the same line. This release is in partnership with the largest online shopping platform in the country, Lazads. The Cherry Mobile Cubic Cube Max frames a humongous screen real estate of 6-inch. It comes with an HD panel which shoots 249 ppi pixel density. Under the hood, the Cherry Mobile Cubic Cube Max ticks with 1.3GHz quad-core processor and 1GB of RAM. On paper, The specs are shabby but we hope to check the handset's real-time performance. The Cherry Mobile Cubic Cube Max is pegged to boot with the latest major iteration of Android - 7.0 Nougat. The inclusion of Nougat could be the deal maker of the handset. Other noteworthy specs include the back-mounted fingerprint scanner, 13MP rear camera and 8MP front-facing shooter. The Cherry Mobile Cubic Cube Max comes with a very affordable asking price of Pho 3,999 and is now available exclusively in Lazada.